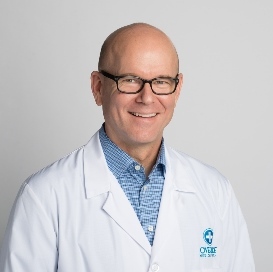 Kelan Koenig, MD, joined Overlake in 1999 after completing undergraduate studies in pre-med and philosophy at Washington State University and medical school and psychiatric residency training at the University of Washington. He is past chief of staff elect , has served on the Overlake Board of Trustees and was Overlake's medical director of psychiatric services since 2001 and practices inpatient and consultative psychiatry until transitioning to the chief physician executive role in March 2018. Dr. Koenig has been named a "Top Doctor" for multiple years by Seattle Magazine and Seattle Metropolitan magazine. He resides in Bellevue with his wife. He has an adult son and teenage daughter.